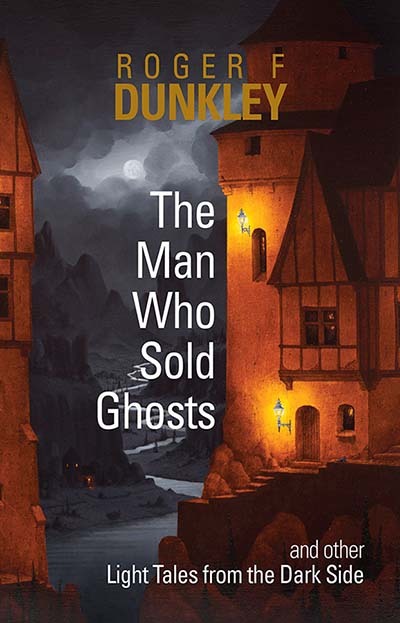 ‘The Man Who Sold Ghosts’ aptly describes Roger F Dunkley, the popular author of this newly published collection of black comic and sinister tales. Light of touch but dark of purpose, these twenty-four wide-ranging stories emerge blinking from the blackness of the crypt poised to alarm and charm our Christmas reading, all chillingly tainted with the author’s characteristic mix of stylish humour and inventive storytelling. Perhaps living in a thatched cottage with malevolently low beams may reflect Dunkley’s fascination with the paranormal and things that go nocturnally bump which informs many of these elegant, blackly humorous tales which have made readers of ‘Twilight Zone’, Pan Horror, Fontana and Gollancz Ghost and many other haunting anthologies shiver and chuckle over the years. “ Mr Snipe’s fists tightened. ‘You kidnapped her,’ he said bitterly. 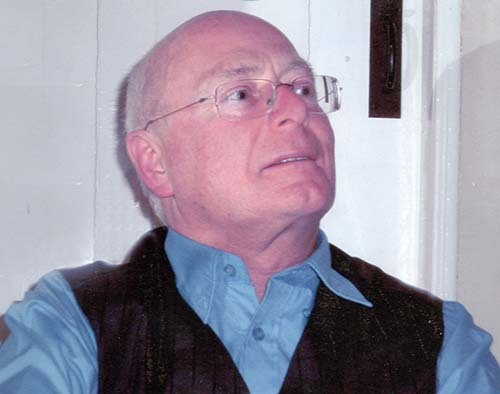 Roger F Dunkley has always aspired to retirement and indolence but a life fraught with education and bedevilled by passions for theatre, music and travel always got in the way. After gaining a BA in Eng. Lit. at Leeds University, and serving time educating the unwary teaching English at King Henry VIII Grammar School, Coventry (where he was also a student) and subsequently at Pilgrim Upper School, Bedford, he finally jumped the wire into Retirement and Real Life! Living in a thatched cottage with malevolently low beams may reflect his fascination with the paranormal and things that go nocturnally bump which informs many of the forty or so stories he has found time to write and publish in several countries, many of them in the Pan Horror and Fontana Ghost and Horror series. Mike Ashley’s Who’s Who in Horror and Fantasy Fiction comments generously on ‘his gift for black humour’ and certainly Dunkley is pleased to find himself holding anthologised hands with his literary heroes – Dickens, Poe, M.R. James, Wells, Waugh, ‘Saki’ et al – as well as contributing spectral shudders to Twilight Zone in the States.